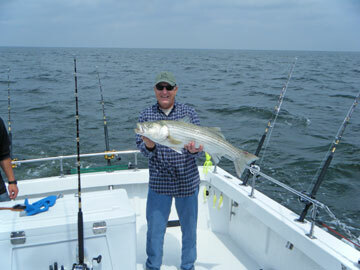 Captain Dave will soon be catching Trophy Rockfish like this one. Give us a call to get in on the action! Captain Dave is now a member of Penn's Pro Staff. URL: http://www.hookedup2.com Copyright 2005-2019, Hooked Up 2 Charters. 1905 Emmanuel Church Rd., Huntingtown, MD 20639.